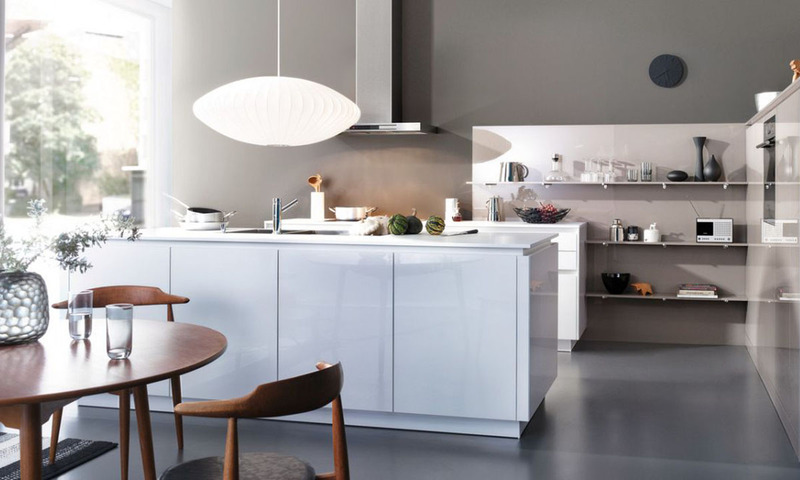 Light, friendly and open kitchen planning with lots of space for living and working. Calm, smooth kitchen fronts with color-coordinated grip rails structure the kitchen horizontally. The new CONTINO handle-less concept was implemented with two current LEICHT ranges: the CHIARA-BG-C with a high gloss lacquered front in “firn” in combination with the high gloss acrylic fronts of LUNA-AG-C in a light “sand grey”. Both ranges are characterized by a new kind of seamless edge processing – a key criterion for top quality and sophisticated design. To this end, LEICHT implements the very latest in laser technology. This ensures that there is hardly a visible joint between the front material and the edge band. You must be <a href="https://lussocucine.nyc/wp-login.php?redirect_to=https%3A%2F%2Flussocucine.nyc%2Fkitchens%2Fleicht%2Fluna-collection%2F">logged in</a> to post a comment.